Make your online business truly data-driven, so you can better understand your audience, outsmart your competition, grow faster and do things more profitably. So many online businesses operate based on gut feelings, market benchmarks and the "best practices" of senior professionals. Don't get me wrong. Intuition, creativity and business experience are important. But these work infinitely better when they’re supported with data. I’ll tell you what: in online businesses, facts are worth a thousand times more than the opinion of the smartest person in the room. Opinions are foggy and misleading. You can't argue them away. Imagine how much easier it is to make good decisions when you have exact numbers and clear (well-researched) user stories on your table. How much more confident would you feel about your marketing budget? How much better would you feel about your next product development plans? And about your next hire for your team? Hi, I'm Tomi Mester, the author of the data36.com blog - and a practicing data scientist for 7+ years. I’ve been working for and consulted with many online businesses - like yours - on their data projects. So many online businesses don't take advantage of their data. And that puts you in a unique position. If you are among the first in your market to adopt data-driven practices, you can easily and quickly outsmart your competition. How much effort (or resources) do data science projects need? Good teams spend about 5% of their total working hours with data and quantitative research. So if you are working alone, that's around 2-3 hours a week. If you are a team of 50, then ideally you have one or two full-time dedicated people for this project. What is the right time to set up your data strategy? 1-10 employees: Let's be honest, in these early days, your main focus probably won't be data science. (Maybe a few hours a week.) Still, starting to think with (and about) data at this point and setting up your overall data strategy will help you get prepared and ahead of your competition quickly. 10-50 employees: Perfect timing. At this size you probably have the right cashflow (or you just landed a bigger investment), and maybe you are about to bring on board your first data scientist, too. This is the perfect time to set up a proper data strategy and make sure that you do things right. 50-100 employees: Ow-ow, if you don't have a clear data strategy at this point, you might have already started to experience problems. Infinite meetings (too many opinions and too few facts), too many KPIs to focus on, flopped products (due the lack of research and information), and so on. Don't worry, no big tragedy has happened (yet). You can catch up if you start right now and get serious about creating a data strategy. 100+ employees: You are already late to the game. Sorry to say this... but the fact is that every company who hasn't started to seriously think about their data strategy at this point - well, it’ll be at least ten times harder for them to get data-driven for real. I mean, better late than never. But I hope you are not in this category when reading this. How can data help you? On a very high level, you can achieve two things with data science for your online business. (1) Understand your audience better. Learn about their needs, their struggles, their motivations, their relationships to your product or service. (2) Use these learnings to create a better product or service - and turn that into profit. Your number one priority should be to help your users. As a consequence of that, your product/service will flourish. And that better product/service will bring you more users, more returning users and more revenue. To see clearly how your business performs. To see what's important and what's not. To discover new opportunities / products / services that your audience needs. To discover new audiences for your current products / services. To easily identify low-hanging fruits. To make easier decisions and then test and validate them. Why don’t many companies take advantage of their data? Because they don't know where to start. They don't have a data strategy. And they get lost in the ocean of data -- and in the many ad-hoc (and useless) reports and analyses. You are sitting on a gold mine… However, if you don't know how to extract it, you won't be able to profit from it. Your users generate data. You need a strategy that will help you to turn that raw data into useful information and then into game-changing decisions. Looks simple as a picture. How to collect and store the data. Which tools should you use? In the ocean of data: how to pick your first data project and how to start with it? How to discover user stories and common usage patterns. What data analytics methods should you use? What should your company reports look like? How can you communicate the data in your organization efficiently? How can you evangelize the data-driven culture at your company? Data Strategy -- It's time to build up your own! I created the Data Strategy course to help you to build your own data strategy from scratch. I won't just show you how other companies do it. I'll actually guide you through step-by-step how to build up your own data strategy and how to turn your business to data-driven. Frameworks that you can immediately reuse in your own business. Cheat-sheets that will guide you through complex data strategy questions and decisions. Challenging questions. The right questions - that will make you think. Step-by-step action plans for execution. In Data Strategy, I show you a proven system that will help you to build your own data strategy. I know because this knowledge already helped for many companies I worked with. This course is the essence of everything that I learned and fine-tuned during my 7+ years in data science with online businesses. At the end of the course, you will have your turnkey data strategy, with clear action points ready to execute. Even more: if you are doing it right, many of these action points will be already started to be implemented during the course already. It's a process. Data Strategy provides proven system based on real life practical experience, so you can make sure that you will be able to apply in your project, too. It's your one-stop-shop data strategy course. No more little bit from this article, little bit from that book, and so on. In this course you will have everything that you need. It's compact. I know you are busy, so again: in this course you will have everything you need - but also nothing that you don't! It makes you think. This course won't show you a one-size fits all solution. Instead of that, it will make you think, prioritize your efforts, restructure your thoughts, and it will help you to create your own unique data strategy. This is the system I use at my own business as well. As an extra, I have added a "vault" at the end of each module where I give you insights about how did I build up my own data strategy from scratch at Data36. Learning the one-sentence principle of doing data science right. Doing a data strategy audit at your company. The principle of garbage in, garbage out. Conversion Rate Optimization - in action. Mapping out user stories and common patterns. How to make sure you nail your A/B tests. How to prioritize your research efforts? How will data impact and improve your business strategy? Funnel analysis: where to focus? Exercise: What's your true retention rate? How to communicate data efficiently - so everyone understands it. How to use data to convince fellow co-workers and the management. Data visualization and presentation principles. How should you communicate your data-driven results? Exercise: Turn this data into easy-to-understand charts! WEEK #6: Make data-driven results stick. Building a long-term data-driven culture at your company. How to hire new people? How to win over data sceptics? Vault: Demystification. Explaining machine learning, artificial intelligence, predictive analytics, deep learning, big data, etc. Who do I recommend this course for? This course was originally created for professionals at online businesses: who want to make their online business truly data-driven, who care about better understanding their audience, and who want to outsmart their competition, grow faster and do things more profitably. ...are not afraid of thinking strategically and working on complex things! ...prefer practical things over theoretical things! ...feel that you are running too many ad-hoc (and useless) analyses without any strategy. ...can commit around 4-5 hours each week to learn and improve yourself and your business. ...believe in long-term strategic success rather than quick and dirty tactics. ...are running an offline business. Sorry, as much as I want to, I can’t help you - simply because my 7+ years experience is from doing data analysis and data science for online businesses. So I created this course for online businesses and I won't talk about anything that could be applied at big factories, at traditional banks, in agriculture or anything similar. ...are looking for quick and dirty tactics and want to beat your competition overnight. ...prefer to learn theoretical things over practical things (and over taking action). ...can't put 4 hours a week into this course (or your data strategy). ...have no idea how you will use this in real life. Tomi Mester is a data analyst and researcher. He has worked for Prezi, iZettle and several smaller companies as an analyst/consultant. He’s the author of the Data36 blog where he writes posts and tutorials on a weekly basis about data science, AB-testing, online research and data coding. 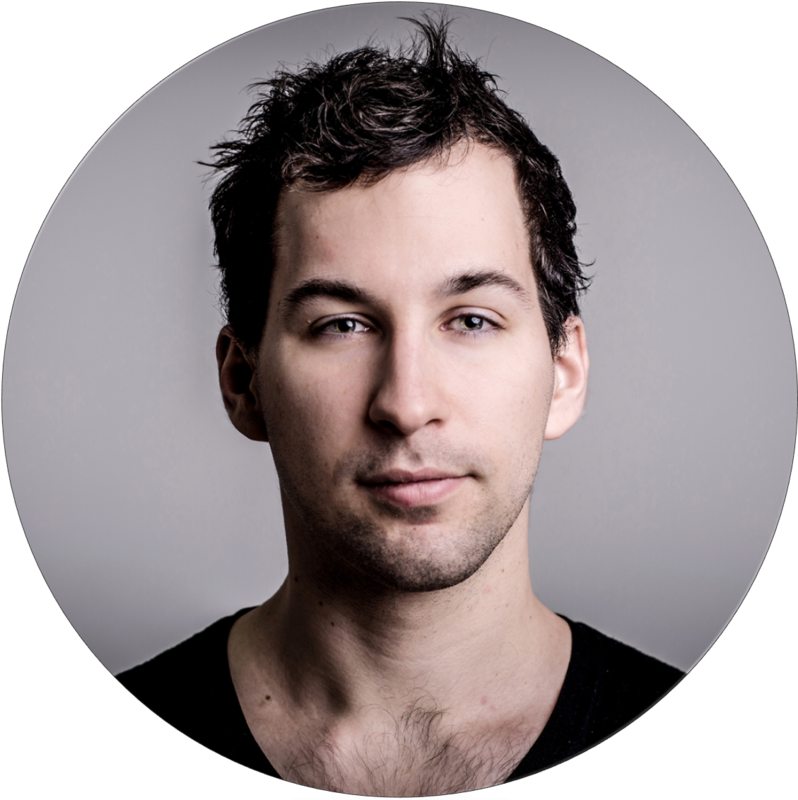 He’s an O’Reilly author and presenter at TEDxYouth, Barcelona E-commerce Summit, Stockholm Analytics Day and more. This is a brand new video course. Before I launch it publicly, I'll launch a beta program for 10 participants. What does "beta program" mean? I’ve already put a lot of energy and work into creating the main concept, the curriculum and all the course materials for this course. During the 6 weeks, I’ll make sure to give you the best experience and the highest quality. "Beta program" really means that I’ll have much more personal involvement in this course than I’ll be able to in the next iteration. I offer one-on-one consultations and I'll heavily rely on your feedback. I want to understand your problems and your needs, so I can create the course that's best for you. This also means that the course is more flexible, and a part of the original curriculum might change if I see from the feedback that it’s needed. You should also know that most of the videos will be recorded during the course, so they might not be studio quality yet. You will receive new course materials (mostly tutorial videos, but also articles, cheat-sheets and worksheets) every Monday and Thursday for six weeks (until 8th July). After that, you will have unlimited access to this course alongside all the course materials and all future updates. The max. number of attendees is 10! I would never want you to be unhappy! If you are unsatisfied with the course, contact me (tomi@data36.com) in the first 30 days and I will give you a full refund. Note: since this is a beta program, I can only give you estimates for this question. To watch the videos (and read other learning materials) will take ~1.5 hours a week. Doing the exercises (if you take them seriously) will take another 3-4 hours a week. Is it a problem if I don't have any prior (or hands-on) experience with data? We will start from scratch. 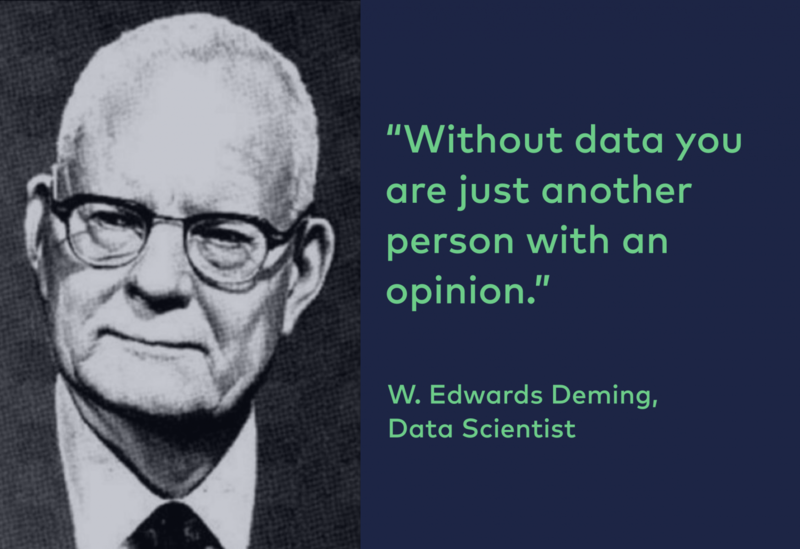 It's great if you have already started to think about your data strategy or if you have run data projects before - but it's definitely not a prerequisite. Do I need to know how to code (Python, SQL) for this course? You don't have to know how to code - we will talk about strategic, business-related things. We won't code in this course. Yes. In accordance with EU law (I'm based in the EU), everyone receives an invoice.